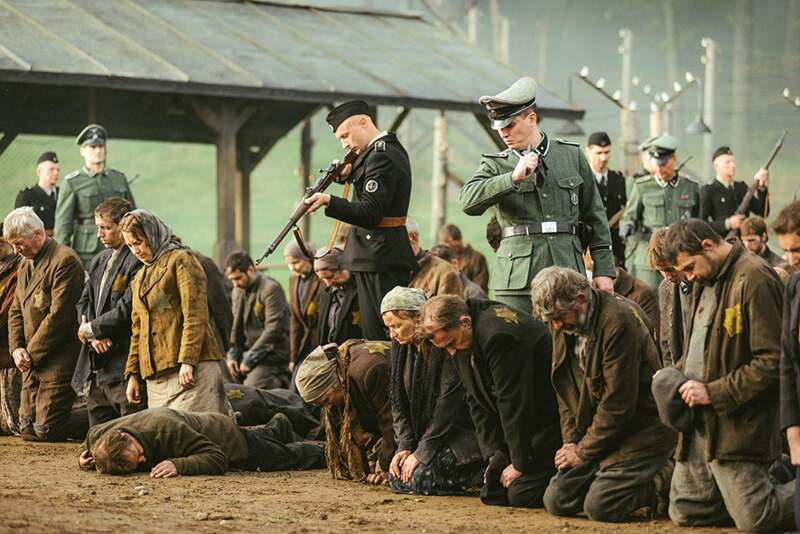 Sobibor is the latest offering by Russian actor and director Konstantin Khabenskiy who treats this difficult subject matter with respect and a sensitive touch. The film takes us on a journey through the horror of this dreadful prison camp, not shying away from the atrocities but truly showing us how awful people are to each other. From the moment the characters arrive in Sobibor, not knowing that their fates are sealed in this Nazi concentration camp, we are taken through the steps of how every aspect of their humanity is stripped from them. After a train arrives filled with dead bodies from a concentration camp to the East, the group of prisoners decides their only chance of survival is to devise an escape plan before their camp becomes the next one to be exterminated. They plan to summon the guards and kill them one by one. Before their plan is set in motion the Nazis have a night of drunkenness and cruel games of torture and murder. The following day, the group begins their plan to kill their tormentors one by one. As brutal as the Nazis have been to them, killing them is no easy task for the prisoners. We see the trauma first hand and the prisoners are taken, often by surprise, and as they become very emotional at what they must do to survive. The end of the film is painfully beautiful and very dramatic. Music carries us through those last moments as all hell breaks loose. Khabenskiy fearlessly captures the hope and pain as the film climaxes to its historic finality. We are transported to a place of serenity juxtaposed with the awful truth. The film wraps up with some words about the real-life characters and what happened to them. This is truly a story that has never been told in this manner and this director did it justice. The cinematography and camera are beautiful, if that is the right word to use in this horrific setting. It is painfully honest and nothing is seen that does not serve a purpose of pushing the story along. The performances are so real that any audience with a beating heart cannot help feeling grief for these poor souls and what they suffered through. It was one nightmare after another and to carry on and not give up, to maintain the composure to survive, requiring a strength that few could muster. That is the gift that this film gives today’s audience: a real appreciation for life. The director transports us to an awful place but gives us a story that offers hope in the worst of circumstances, something that all people can use more of in their lives.